There are many online sports betting systems out there, each with their own rules. The over/under betting type is a well-known and loved betting option, especially in NFL betting circles. Using the over/under betting strategy when betting on your favourite sports is an exciting way to wager on sports. 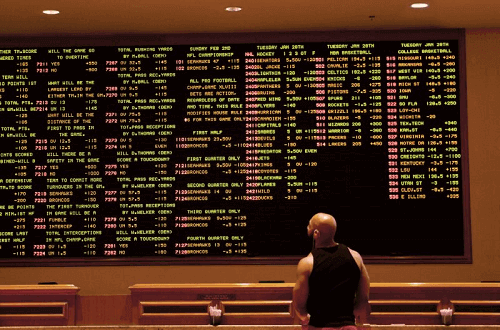 In this guide, we’re going to look at what the over under bet is, the best strategy to use, and which sports it works well in. This bet is about predicting the number of goals that will be scored in a match. Usually, for a soccer match, sportsbooks set the number of goals at more (over) or less (under) than 2.5 goals. Now, there are various set numbers to bet on. Also, it isn’t only limited to goals but the number of yellow or red cards, off-sides, throw in etc. With over/under bets its important to note that bettors won’t walk away with huge winnings as the chances of winning it are high. Let’s say we have two teams that are known for scoring whenever they play. So, it would be safe to assume that odds of there will being more than 2.5 goals scored in total. In relation to the NFL, the over/under lines are pretty interesting. Most bettors like to bet on the over because they want to see a lot of scoring going on (who doesn’t?). So, as time goes by, the more people betting over causes the line and total to climb and bookies have to adjust it accordingly. If you like under, wait on betting until its closer to kickoff – typically the total will be at its highest by then. Keep an eye on betting totals daily and watch for any movements which can be caused be an increase in bettors, an injury, and even the weather. Be patient and know that placing the right bet takes practice. You’ll need to develop the ability to know when to jump on a number or wait for another game. Since this type of bet doesn’t pay out a lot, we would recommend that play accumulation bet with a few over under bets, making a multi-bet of up to eight legs. A good over/under betting strategy will help you make a great decision on whether to go more or less. Also, remember that betting on sports is about having fun and being engaged. If you find yourself losing more than you’re making and not having fun, take a step back and rethink your strategy.